Spacek Labs produce componenti a onde millimetriche e componenti a microonde e sottosistemi su specifica del cliente, ad Università, Istituti di ricerca, Imprese private ed Enti Governativi. I prodotti della Spacek Labs, amplificatori, mixer, Gunn oscillatori, moltiplicatori di frequenza, filtri, ricevitori, traduttori frequenza e assiemi mm-wave sono costruiti in modo da avere le migliori prestazioni possibili. Spacek Labs offers three categories of frequency sources. Gunn Oscillators – These are a relatively inexpensive stable source that can be fixed, mechanical or varactor tuned. Frequency Synthesizers – A lower frequency synthesizer is multiplied, amplified and filtered to produce a clean and stable band of frequencies in the millimeter-wave frequency range. Phase-Locked Sources – Single frequency Phase Locked Oscillators in Ku band are multiplied, amplified and filtered to produce a clean and stable output in the millimeter-wave frequency range. Filters are extremely important in systems. They reject unwanted harmonics of an LO, the other sideband in an upconverter, limit the band of an RF input or isolate channels in a transceiver. Below is a list of Spacek Labs filter products. 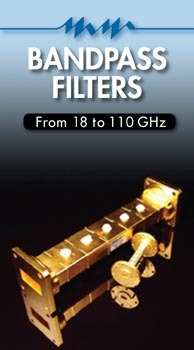 Wide Bandpass Filters Wide bandpass filters are created using a combination of Low Pass Filter and a High Pass Filter. Narrow Bandpass Filters These are low loss filters that have sharp skirts. Low Pass Filters Low Pass Filters can reject out to five times the cut-off frequency and have low loss. 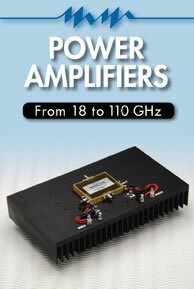 Spacek Labs will make converters with any combination of RF, LO and IF frequencies that you require. Our frequency converters come in the five different categories listed below. An integration of our balanced mixer and IF amplifier products. A combination of our amplifier, mixer, multiplier, filter and source technologies integrated into one broadband receiver or transmitter. 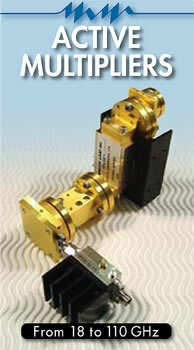 Downconverters typically with full waveguide band coverage. 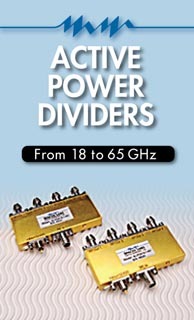 Downcoverters with single frequency or partial band coverage. 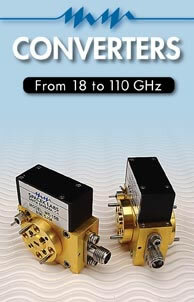 Upconverters can be narrow band or cover an entire waveguide band. The LO and unwanted side-band are rejected using a low pass or high pass filter.